Use this form to register for the upcoming Pokémon Sydney Regional Championship. 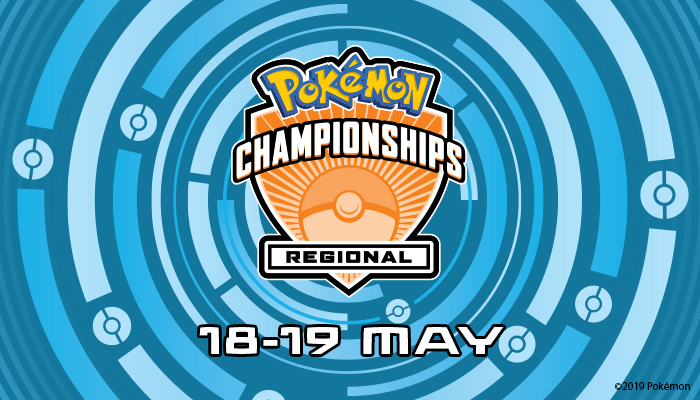 The Pokémon Sydney Regional Championship is returning for the 2019 season! Once again, the event will be hosted at the ESL Studio Sydney, on May 18th & 19th. The event will feature competitions for both the Pokémon Trading Card Game (TCG) and the Pokémon Video Game Competition (VGC) in all current age groups, including Masters, Seniors and Juniors. On top of some awesome prizes, up for grabs are Championship Points and an exclusive Pokémon Regional Championships promo card (while supplies last). Championship Points earn invitations to the annual Pokémon World Championships, as well as the ability to earn Travel Awards to Pokémon International Championships events. Let's start your journey to being a Pokémon Master at the Sydney Regional Championship! Spots are extremely limited and you MUST register online! - Please note that registration for this event will close on Thursday May 16th (unless pre-sold out prior), so register for your spot in the competition online now! All up-to-date prizing information for Oceania Regionals can be found here. Please fill out the following form to register for the event. For each participant a new form will need to be filled. If you do not have Pokémon Player ID, please follow the below link. To generate a, Pokémon Player ID please follow the guide found here. VGC - The Video Game Competition will use the Ultra Series Format. TCG - The Trading Card Game Competition will use the 2019 standard format.